It’s a new year, let’s get this blog restarted! I’ve got a bit stretched thin with various media, with some things here and others there… I should sort that out. Anyway, there’s a plan in the works that should get me doing regular blog posts here. I think it’ll be a lot of fun and I’m going to come up with a bunch of different designs. I made some commission jewellery over Christmas and I want to make more, so this is also a good kick-start to that, but with the freedom that these designs don’t have to be perfect. I expect to end up with some that really don’t work, but the point is not to be stressed about that because next week there will be another. I think it’ll be good for me. 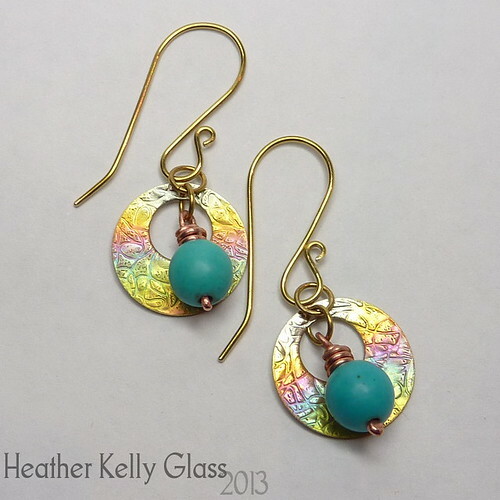 (I reserve the right to switch away from earrings to make something else if I get absolutely sick of them, but I’m thinking that’s not too likely – there’s a lot of scope in them for all kinds of techniques and materials). I’ll be linking to some of the other people doing the challenge as we get going with it, so stay tuned! Another view, because they’re only as bright as the first pic in really bright direct light. The second pic is more representative. Flame patinated (by me!) 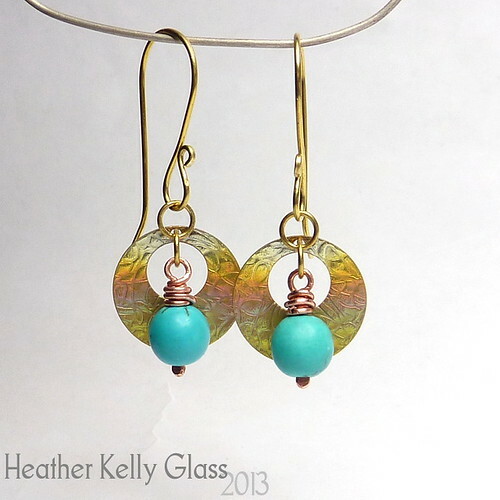 brass discs, brass earwires, copper dangles with faux turquoise beads. Week 1 thread on Craft Pimp. 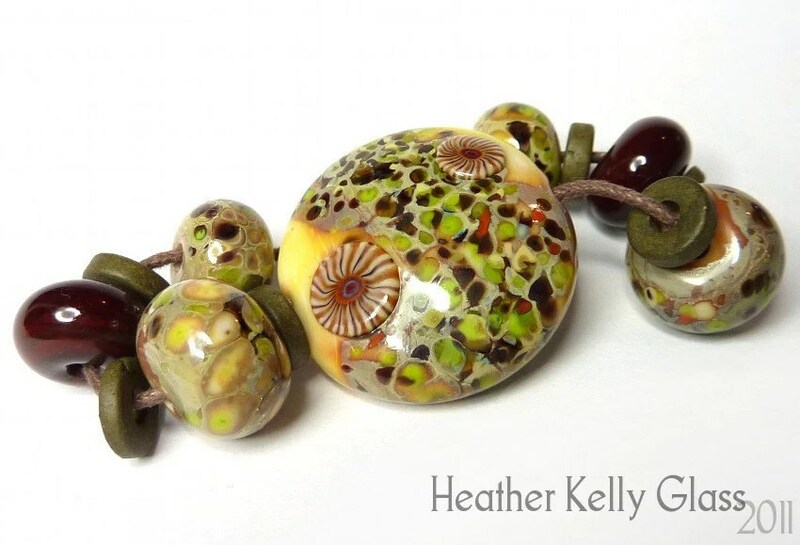 This entry was posted on January 3, 2013, 1:47 pm and is filed under Jewellery. You can follow any responses to this entry through RSS 2.0. You can leave a response, or trackback from your own site.